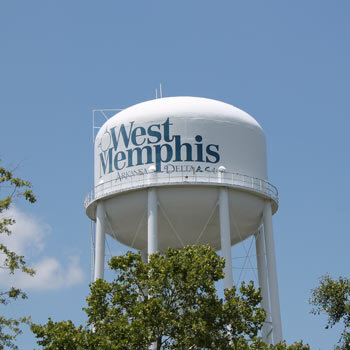 West Memphis residents have a new convenient way to pay! The Utility System, consisting of Sewer, Water and Electric Utilities, is operated by the City's Utility Commission (the "Utility Commission") which is comprised of seven members who are nominated by any member of the City Council and elected by a majority vote of the City Council to serve for staggered three year terms. Members are required to be qualified resident electors who shall be experienced in some type of business management. The System has approximately 80 employees. 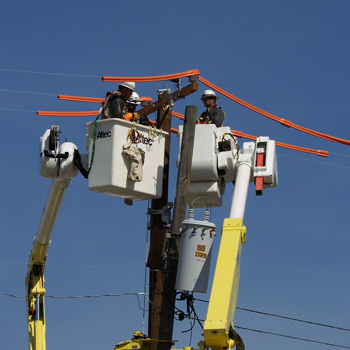 West Memphis Utilities has been providing local power to residents . . . by residents. Our city’s origins trace back to Spanish land grants bestowed to Benjamin Fooy, John Henry Fooy, Isaac Fooy and William McKenney in the 1790s. Originally called Hopefield, the town was chosen as the eastern terminus of the Memphis and Little Rock Railroad in 1855. Despite a halt in rail construction because of the Civil War, the railroad was completed in 1871. Other infrastructure enhancements came in 1892, when the first river bridge opened, and in 1916, when the Harahan Bridge was completed. The second bridge’s completion marked a milestone – for the first time vehicles could drive across the Mississippi River rather than take a ferry across. 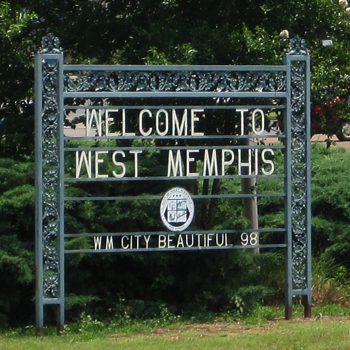 West Memphis’ Broadway Avenue became a U.S. highway and traffic began flowing through town. Almost 60 years later, the six-lane Hernando Desoto Bridge opened a part of I-40, further increasing the city’s importance as a trucking hub. Today, FedEx National LTL and Schneider National Carriers are among West Memphis’ top employers. Historically, Broadway Avenue was our city’s main commercial thoroughfare, lined with thriving businesses, but that changed after development of the interstate highways diverted traffic elsewhere. In 1994, concerned citizens formed a 501c(6) non-profit organization to help revitalize the area. 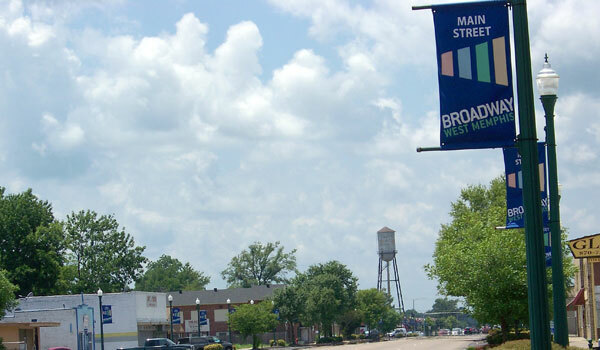 Main Street West Memphis worked so well that, in 2012, it was accredited as a National Main Street Program for its excellence in preserving 15 blocks of Broadway Avenue. 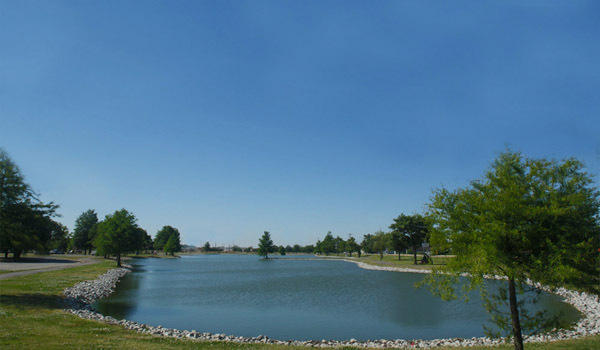 West Memphis has many places to relax and enjoy, including its many festivals. Those include the Gumbo Fest in April, the Fourth of July Freedom Fest and Firework Show, Taste of the Town in August, the Arkansas Flatlander Metric Century bike ride during fall, and the annual Christmas Parade and Christmas Tree Lighting in December. There is also a full season of sports tournaments and horse shows.